India and Italy are at loggerheads in International Tribunal for the Law of the Sea on the issue of two Marines of the ship ‘Enrica Lexie’ killing fishermen of Kerala. What their respective stand is, on the issue, can be very well understood from their written submissions before the tribunal. Italy submitted their notification before the tribunal on 26th June, this year. As India, did not reply to this notification, Italy on 21st July submitted before the tribunal, its request for the prescription of provisional measures against India. Thereafter, on 6th August, India submitted its response as written observations. Live Law has been following the developments of this case in Indian courts, closely, which can be read here. Last week Live Law had reported that India has hired two famous foreign lawyers, Alain Pellet and R Bundy, to represent her in the International tribunal. Yesterday, the tribunal in Germany began the public hearing of this case which was also webcasted live through their website. Italy, through their representative, reiterated its demand that India should "refrain from taking or enforcing any judicial or administrative measures" against the marines. It also demanded that "restrictions on the liberty, security and movement of the marines be immediately lifted". Reacting to the submissions made by Italy, representative for India said that it is not a maritime dispute but "about a double murder at sea, in which one fisherman was shot in the head and the other in the stomach.“ The tribunal, which will hear second round of oral arguments today, is expected to give a decision within a month. According to them, the craft which was heading towards them, ignored all the warning including warning shots into water. It further adds, when Sergeant looked through the binoculars, it appeared to him that people in the craft are carrying rifles, as well as instruments for boarding ships. Italy accuses the Indian authorities of coercion which made them stop the Enrica Lexie, change its course, and sail to Kochi. Then it goes on to describe the events that followed including the interrogation of their officials and the subsequent arrest of two of their sergeants. Their challenge before the Kerala High Court which was later dismissed is also described in detail. Italy is disputing the legalityof India's exercise of criminal jurisdiction over their Marines. 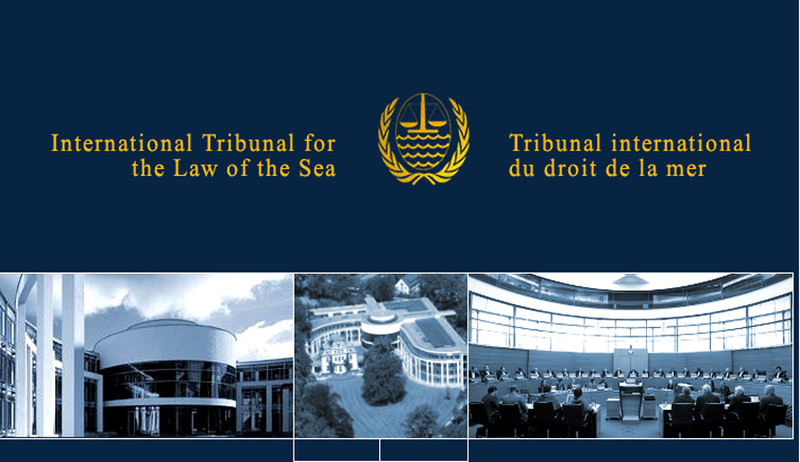 Since Italy and India are both parties to UNCLOS, Italy submits that the tribunal has jurisdiction to decide this dispute. Italy asserts that India violated and continues to violate Article 27(5), 97(3), 87, 89, 100, 297 and 300 of UNCLOS. Italy seeks following declarations and orders from the tribunal as reliefs. It wants the Tribunal to declare that India has acted and is acting in breach of international law. It requests the Tribunal to declare that Italy that has exclusive jurisdiction over the Enrica Lexie and India must cease to exercise any form of jurisdiction over the Enrica. It further asserts that exercise of criminal jurisdiction by India is in violation of India's obligation to respect the immunity of the Italian Marines. Italy requests the Tribunal to order India not to prosecute the criminal case against the Italian Marines and to terminate all legal proceedings connected to the Enrica Lexie Incident before the Indian Courts. Since India neither replied to the notification dated 21.6.2015, nor did it cease to exercise jurisdiction over the incident, Italy requested the tribunal to order provisional measures against India. In its submission, It says “Italy left no stone unturned in seeking to reach a negotiated solution with India, but the situation has now reached an impasse which coincides with an aggravation of the personal circumstances of both Marines, and a sense of growing and intense despair over their position.” It further accuses India for treating Sergeant Gironeas ahostage. Regarding urgency, it submits that ”The risk of prejudice to Italy's rights has risen sharply over the last months. It has crystallised acutely in the last weeks.” It goes on to say that their naval officers have been subjected to the custody of the Indian courts for three-and-a-half years without being charged with any offence. Italy submits that non granting of their request of provisional measures against India will be causing serious, irreversible and deepening prejudice to Italy's rights at issue. It will also cause irreparable harm to health and well-being will or is very likely to follow, with the consequence of serious and irreversible prejudice to Italy's rights .